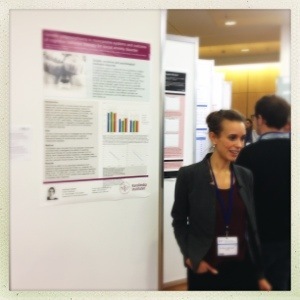 Evelyn Andersson presented our poster “Psychological Treatment Response of Cognitive Behaviour Therapy for Social Anxiety Disorder and Genetic Polymorphisms in Three Candidate Genes” yesterday. Previous Previous post: Ny studie av KBT med förstärkande medicin söker dig med tvång! Next Next post: We are starting Body Dysmorphic Disorder research and landed a grant!